Work with SRJ Windows and enjoy market-leading double glazing. We help homeowners like you complete their Stirling home improvements, and install windows, doors and conservatories that will breathe new life into any property. Experience the latest uPVC and aluminium that the industry has to offer and customise your purchase today. If you want modern double glazing fitted by a leading installer, then call SRJ now. Our talented team of experts work with multiple window designs, from casements to sliding sash. Our tilt and turn windows on the other hand add versatility to your home, while bay windows are the perfect for letting light and fresh air flood into your home. We also work with a number of incredible door designs, each of which has been crafted from the finest materials. Whether you choose uPVC, aluminium or composite, you stand to benefit from doors that offer structural strength and durability. Do you want a standard front door? Alternatively, why not add a sense of character to your home with one of our sliding patios or bi-fold doors? On the other hand, if you’re looking to expand then we have another section for you to browse; we provide an incredible number of extensions which are the best choice if you’re looking to maximise the available space in your home. Want the perfect way to blend your garden and home? Choose a conservatory. If you want to combine privacy and slim sight-lines, our orangeries are your best bet. We want you to feel safe in your home, and fully understand that your double glazing may well be the first port of call for unwanted visitors looking to gain entrance to your property. Because of this, we offer a range of double glazing that’s specifically built to keep you safe. Experience the sturdy nature of uPVC, aluminium and composite materials in our range of double glazing. We utilise powerful and intricate multi-point locking mechanisms in tandem with sturdy hinges that hold your double glazing in place. Many of our products also come with the option for an upgrade that meets Secured by Design standards. We also work the Rockdoor profile, which is intentionally built to protect you. If you suffer from outdated glazing, then it’s possible you’re unaware of the many features and benefits of modern double glazing. We’d be happy to introduce you to our extensive product line, all of which is designed to keep you warm naturally. SRJ’s selection of windows and doors make use of vacuum-sealing technology to block draughts and trap heat without the need for central heating. 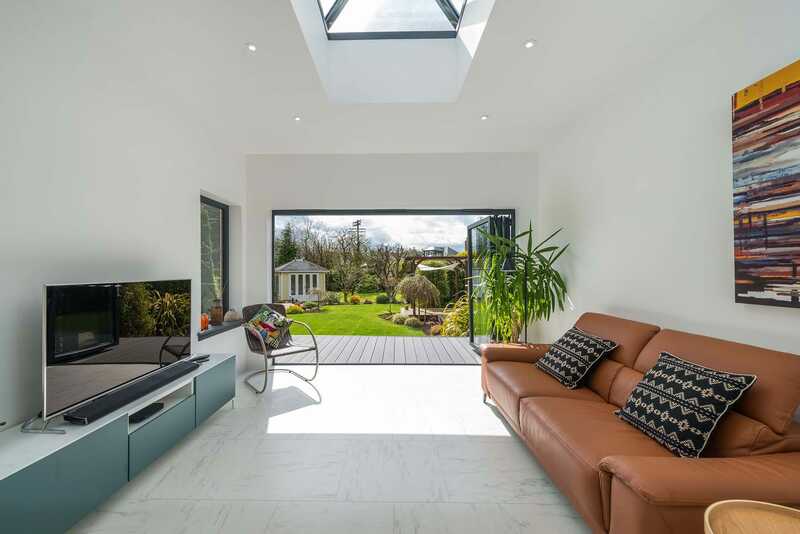 Once you start to warm your home naturally with our modern glass and glazing, you’ll start to notice that you rely less on central heating for warmth and comfort. This results in lower energy consumption and lowers your energy bills. That’s not all; you’ll also receive an increased amount of natural light that results in a homely experience and helps to warm your home further. SRJ are proud to be a member of the Which? 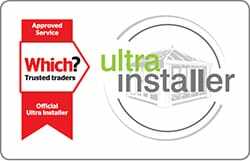 Trusted Trader scheme, which means that we offer customers some of the best double glazing the industry has to offer. We’ve been completing beautiful installations for over two decades, and this experience has earned us recognition within the industry and the right to work with market-leading profiles. We also take into account the environmental impact of our projects, which is why we recycle 100% of all paper and cardboard waste, along with 90% of our old windows. For this we are SEPA accredited, and are dedicated to reducing our carbon footprint. This means that when you choose SRJ as your installer, you minimise the environmental impact of your construction. Contact SRJ for premium products today. We offer double glazing in a vast array of designs, all of which can easily be the right choice for you. Choose us as your home improvement specialist and get your project completed in record time. Call our team right now on 01383 851 951 or fill out the form our online contact form. 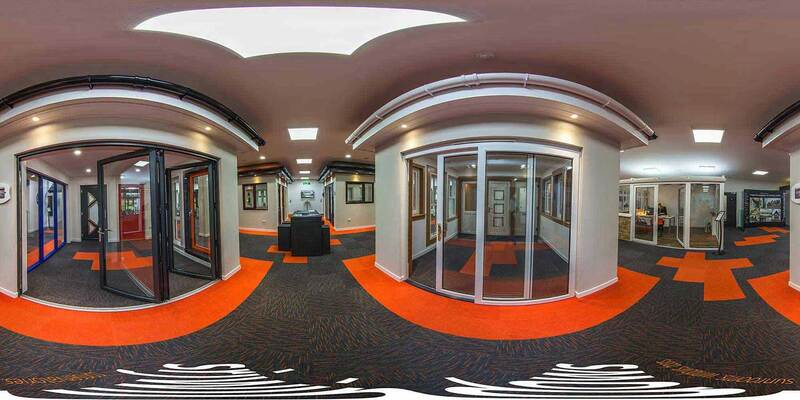 We also highly recommend visiting our beautiful Rosyth showroom here at our offices. This lets you see some of our double glazing in person before you buy. We have products from every range on display, from windows and doors to conservatories and house extensions. If you find yourself in the area, pop in and get your home improvements started.